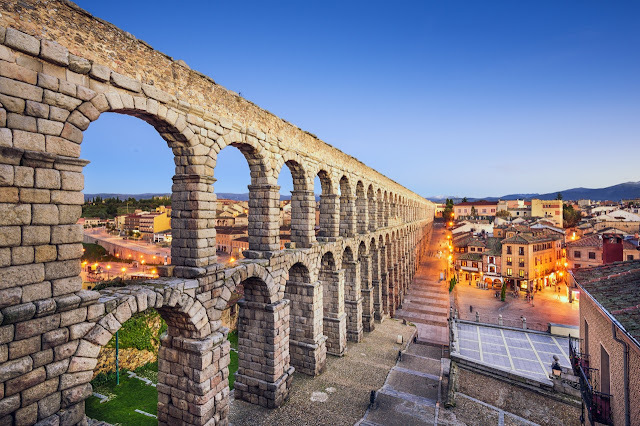 The Aqueduct of Segovia is a marvelous Roman structure and one of the most noteworthy and best-preserved ancient monuments left on the Iberian Peninsula. More precisely you can call it Aqueduct Bridge, located in Spain, foremost symbol of Segovia, as evidenced by its presence on the city's coat of arms. In-fact it is city’s most vital architectural landmark had been kept functioning from several centuries and preserved in great condition. The Aqueduct construction date is not confirmed, however it is believed that it took place somewhere Ist century AD during the reigns of Emperors Domitian, Nerva and Trajan. 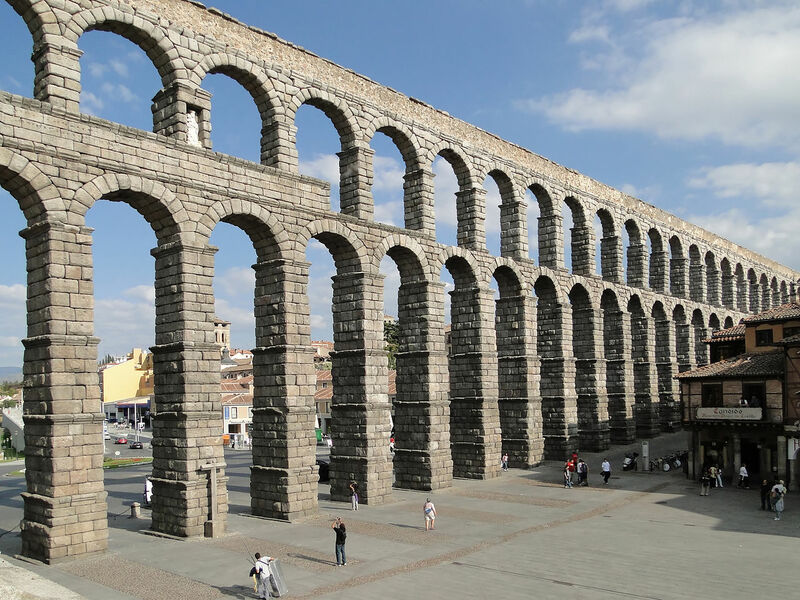 The first reconstruction took place during the reign of King Ferdinand and Queen Isabella, when a total of 36 arches were built with great care without disturbing the original design. The unmortared brick like granite blocks used to construct aqueduct in Roman era. Moreover, the three tallest arches showing a sign in bronze letters, indicating the name of its builder. 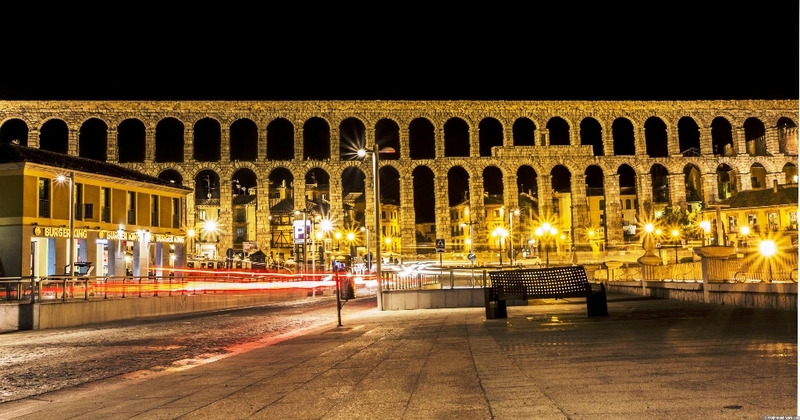 These days, two niches are still visible, one is Hercules and other is image of Virgen de la Fuencisla. The Aqueduct Bridge is built about 20.400 blocks of granite, 7.500 m3 of granite with a total weight of 20.000 tons. 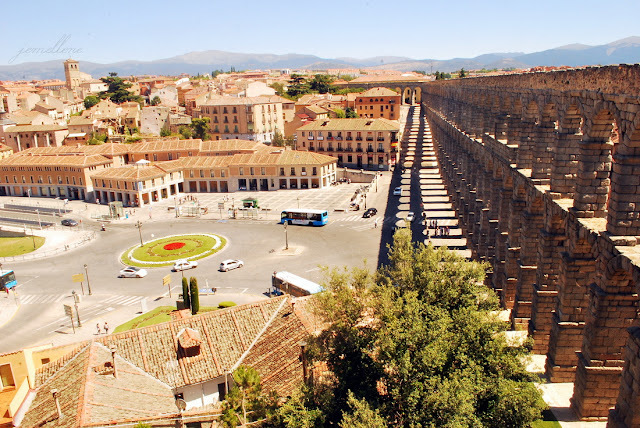 Hence the largest block in the bridge has a weight of 2 tons, and blocks of 1.000 kg are common. 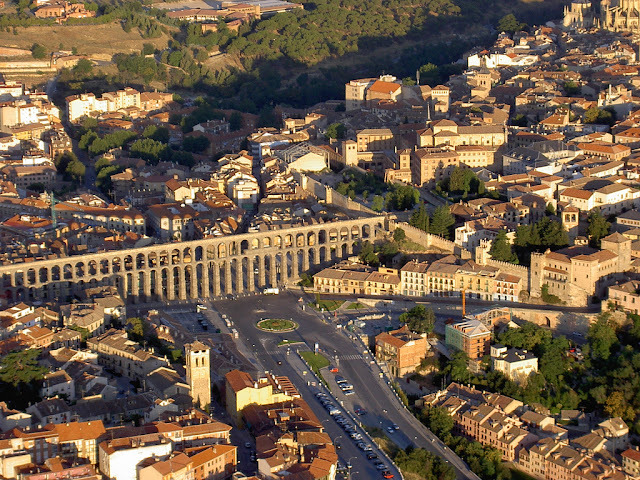 The site was listed in the 2006 World Monuments Watch by the World Monuments Fund. 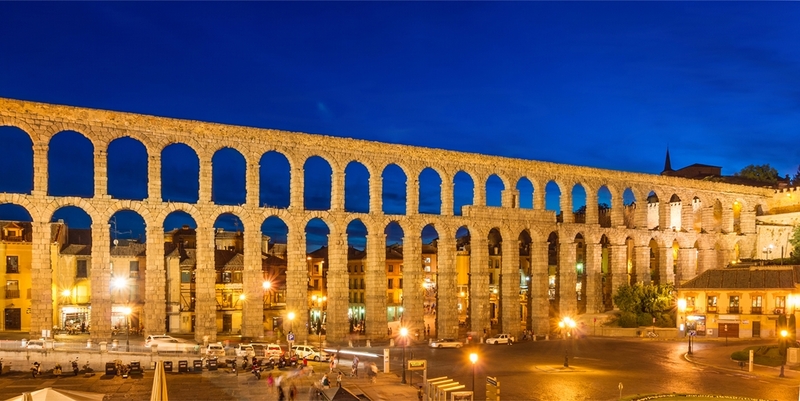 Indeed the Aqueduct of Segovia is an exclusive structure, still carries its original character and remains a protuberant and evocative feature of the regional landscape. 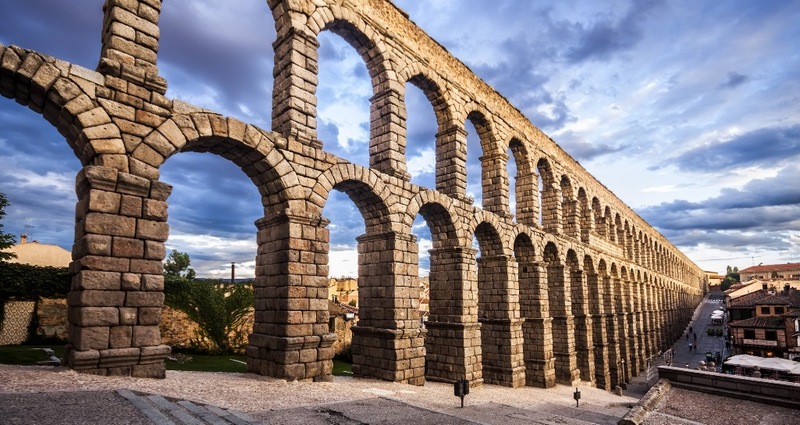 It represents to aesthetics and functionality that are so strongly associated with the engineering prowess of the Roman Empire. The Aqueduct of Segovia functioned for many centuries after the fall of the Roman Empire and served the communities of Segovia well into the modern era. 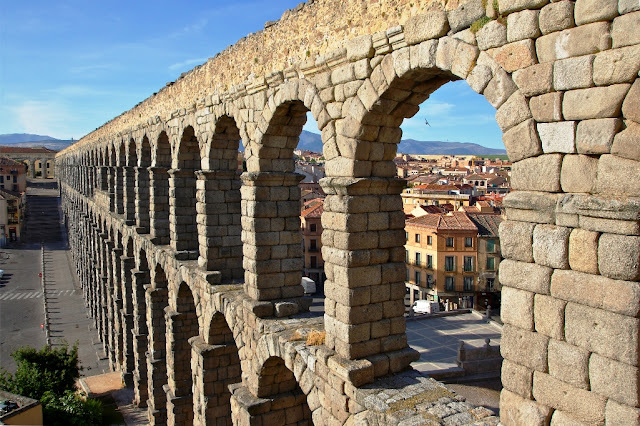 The aqueduct is special in every pillar and spandrel has a different design, have a common springer, others have separate but touching ones, and the base of several of the spandrels is different. 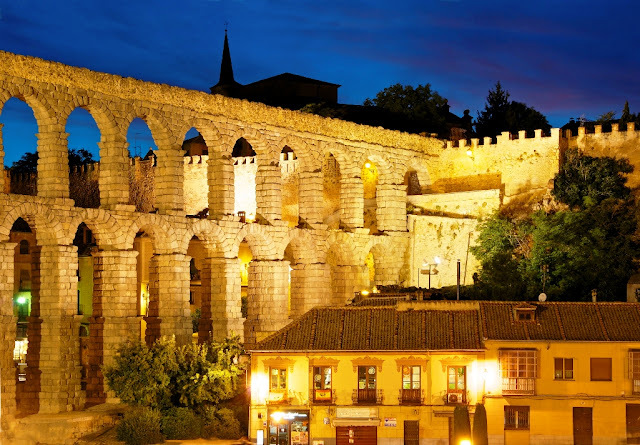 There’re few arches in the center of aqueduct which were ruined during Muslims conquest of 9th century, however Catholic Kings had restored in the 15th century. Well, the one of major purpose of building Aqueduct is to transport water from Rio Frio River 11 miles from the city in the La Acebeda region took 9.3 miles before arriving in the city. The water was first gathered in a tank and led through a channel to a second tower. The tallest aqueduct reaches a height of 28.5 meters, well supported by single and double arches to pillars. 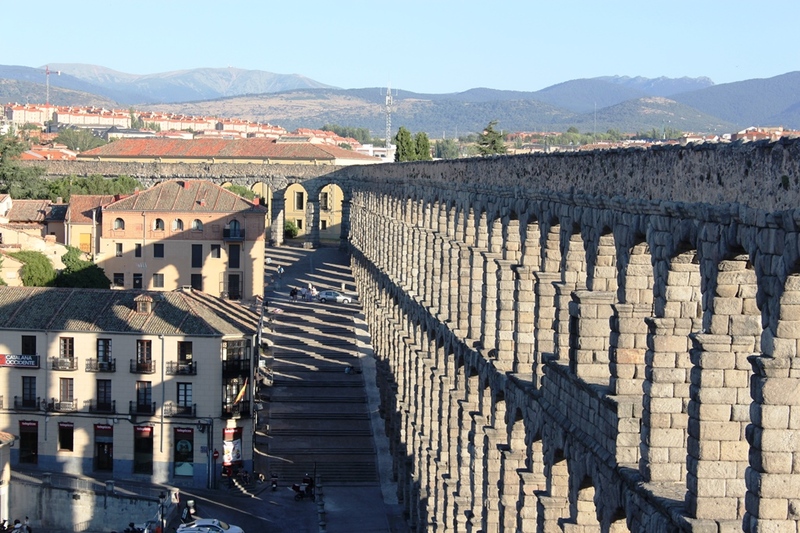 It provided water to Segovia until the mid-19th century. Nowadays it is well-deserving structure to pay attention in its continued protection and stabilization. 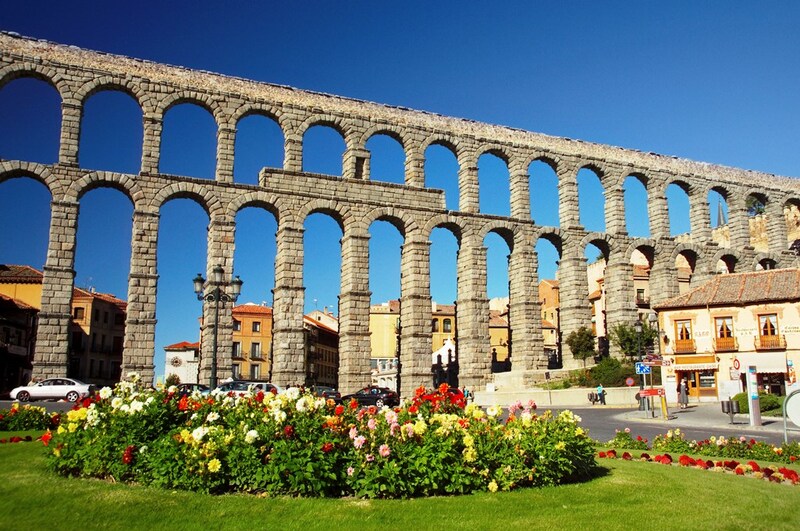 The Aqueduct of Segovia remains one of the most intact Roman aqueducts in Europe.